The HTC 10 (Formerly known as HTC One M10) is in the news for quite some time now. 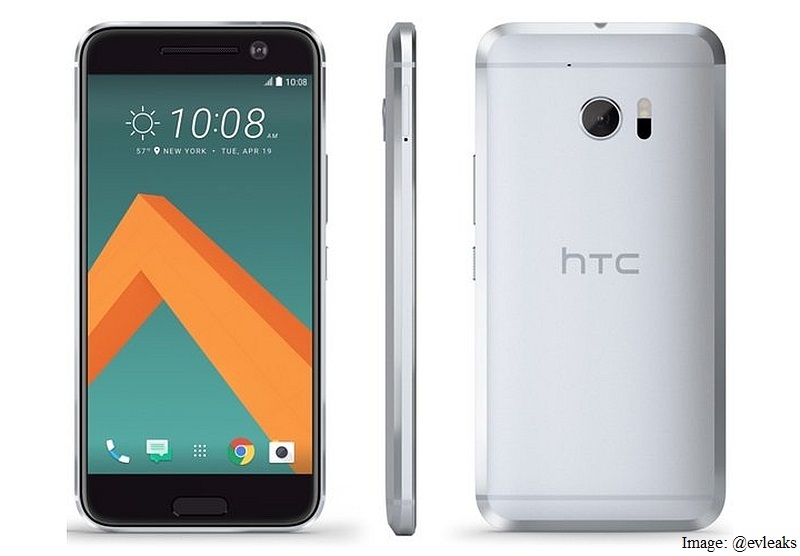 The HTC 10 i.e HTC One M10 is supposed to be the next flagship after the HTC One M9. If you are a regular reader of TechReversed then you might have read our post (in leaks and rumors section) regarding the HTC One M10 specs, features quite a long time ago. We are happy to tell you that most of the specs & features we have shared with you holding true till now. Coming back to HTC 10 it is supposed to be equipped with a Quad Core Snapdragon 820 CPU, 4 GB Ram, 5.15 Inch Quad HD display. Talking about the design after having a look at the leaked image (see above) we can expect a all metal body and a physical button at the bottom of the display. ( i.e. quite similar to what you may see in Samsung phones.). In terms of imaging we can expect a 12 MP Rear with OIS and a 8 MP front camera. 12 MP (f/2.0 aperture) Rear camera with OIS (optical image stabilization) and 8 MP Front camera with wide angle lens. CPU/GPU Quad Core. (2.2 GHz Dual-core Kyro CPU & 1.6 GHz Dual-core Kyro). Qualcomm Snapdragon 820. | GPU Adreno 530. DISPLAY 5.15 Inch Quad H.D IPS Display. Resolution 1440 x 2560 pixels. (~570 p.p.i pixel density). CAMERA REAR 12 MP (f/2.0 aperture). With Phase Laser auto focus, optical image stabilization (OIS), and LED flash. | Features: Geo-tagging, touch focus, face/smile detection, panorama, H.D.R. | Video Features: 2160 p@30 fps (2 K Recording), 1080 p@ 60 fps, 720 p@ 240 fps. H.D.R recording | FRONT/SELFIE CAMERA 8 MP. STORAGE 64 GB Internal. Might be expandable up to 200 GB via Micro SD Card. Note: The specifications mentioned above are exclusive to TechReversed. Unfortunately there is no official news about its release date and price. But it is expected to launch in April for an expected price of around 38-490- 43,890 Rupees in India.